Crime typically isn’t funny. But overly-exaggerated police sketches of criminals? That’s another story. 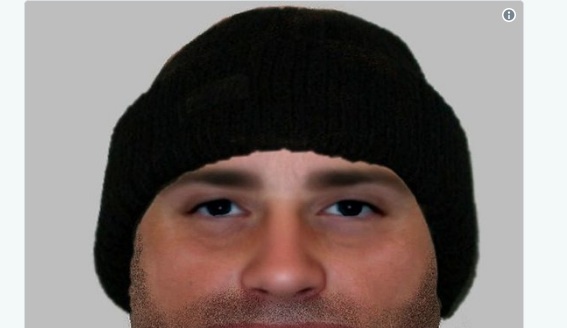 After posting a sketch of a burglary suspect, the Warwickshire Police of Warwickshire, England became internet famous…but not for anything particularly good. Police sketches come in all shapes and forms. Sometimes a hand-made drawing is released to the public, and other times we get computer simulations. The particular sketch in question uses the latter. Known best as an efit, which stands for Electronic Facial Identification Tec, the sketch was created based on details that police received from the victim. It’s also important to remember eye witness accounts are often inaccurate, especially in high-stress situations (you know, like being burgled). And while anxiety and fear start to build, as well as confusion over the crime that just took place, sometimes it may be hard to get all the details right. The victim noted that the burglar was wearing a black beanie, had dark eyes, sported a little bit of stubble, and was, uh — probably a big fan of going to the dentist. Now, we’re not saying that this isn’t what the burglar looked like, but there’s a pretty good chance that the person they’re looking for has…ahem…different proportions. We literally can’t stop laughing. And neither could the station’s many followers, who chimed in with some thoughts. All jokes aside, the Warwickshire Police wanted to remind people that a criminal is still out there, and they’re doing the best they can. I understand the seriousness of this but...you know that isn't the picture of a human, right? I'm so sorry for the poor woman, and I hope you find the perp. I also must confess... I haven't laughed hysterically in ages. Still laughing. Sorry, but you obviously realized everyone would! All jokes aside, we sincerely hope the suspect is found. And also that we get to see an actual picture of him for comparison.